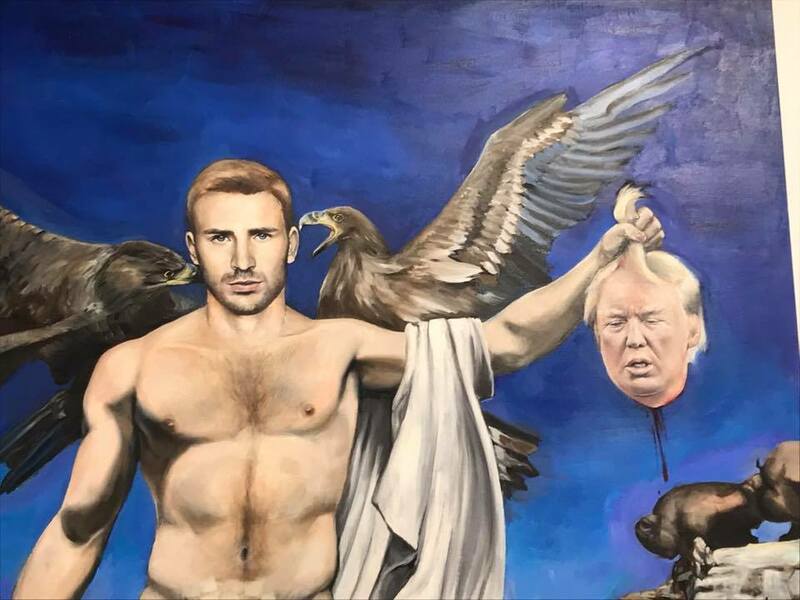 The University of Alaska Anchorage is displaying a professor’s painting that depicts Captain America holding the severed head of President Donald Trump, reports Campus Reform. A Facebook post by Paul Berger, a former UAA faculty member, shows that the painting is visible from outside of the gallery entrance and will be the first thing people see as they enter, reports Campus Reform. Campus Reform explains that the painting has been the recipient of numerous complaints on campus, and a debate has started on its appropriateness. Berger, who Campus Reform reports is a conservative, feels that the painting represents a double standard in how people can talk about President Trump versus former President Barack Obama. Campus Reform has said that so far, the school is taking the side of the artist, allowing the painting to remain on display until the end of the exhibit on April 20. Steven Godfrey, the chair of the Fine Arts Department, said that they would “protect” anyone who made a controversial piece of art. Campus Reform reports that they have reached out to UAA for comment, but has received no response as of yet.